Last month, at my request, the Archdiocese published a financial report that was as comprehensive as possible. In the years ahead, that annual report will improve and become even more thorough. After the past decade of anger and confusion in the Church, Philadelphia Catholics want a life of faith where their children are safe and their spirits are nourished. For as long as God gives me time as your bishop, I promise to work to make that happen. I know that few things in the Church seem less fertile than talk about money. What finally matters to all of us is the welfare — including the spiritual welfare — of the people we love. Yet as every adult knows, no family can survive for long without using its resources wisely. The zeal to do good things is a natural part of the Christian vocation. But it needs to be anchored in reality and guided by prudence. If we act otherwise, we ignore sound stewardship and create bigger and more painful difficulties for the future, because we can’t quick-fix our way out of problems that we behave ourselves into. Earlier today, June 21, I approved a staff reduction of more than 40 employees connected with the Archdiocesan Pastoral Center. These are good men and women who have served the Church well. I took this action with great reluctance, as one of several urgently needed steps to restore our Church to a healthy footing. Every departing employee has the respect and sincere gratitude of the Archdiocese and will be treated with maximum consideration, including appropriate severance and counseling. At the start of our budget planning for Fiscal 2013, the Archdiocese of Philadelphia faced an expected shortfall of more than $17 million between our projected expenses and projected income. Please understand that this shortfall does not include the extraordinary legal and other professional expenses of the past year. As burdensome as those extra costs have been, the much more troubling fact is that the Archdiocese has — for many years — covered the expense of its many good ministries with growing deficits. These serious deficits have then been made whole with the sale of assets or the drawing down of investments. This is sometimes necessary in an emergency. But it can’t be justified or sustained as a normal way of operating. Despite our best efforts, and even with very significant budget and staffing adjustments, the Archdiocese will still face a budget deficit in Fiscal Year 2013 of more than $5 million. This can’t continue, and it won’t continue, and I’ve asked our financial staff and Archdiocesan Finance Council to do everything required by best business standards to balance our local Church’s budget by Fiscal Year 2014. At the same time, we have an on-going duty to serve the pastoral and sacramental needs of our own people and the poor of the wider community; to provide support for victims of sexual abuse; to protect children and families; and to defend the Catholic community in the public square. All of these obligations are important. We will work hard to meet each of them. As I’ve said many times, and as I’ve meant from my heart since arriving in Philadelphia: Thank you for your love of God and generous good will over these past 10 months in the face of so many demanding challenges for our Church. And please, in a special way, keep our departing employees and their families in your prayers. Thank you No one ever solved a problem by pretending there was no problem. We cannot afford to continue providing general education in our Catholic Schools. No one in the pews believes that the extraordinary deficit is not connected to the cost of defending Lynn, but now the state will have to pick up the tab for his ‘care’ for the next few years. Guess God wants him doing prison ministry now. God bless you, your excellency. I know you have many difficult decisions to make! I am praying for you and the church in Philadelphia. As hard as this is to face, thank you, Your Excellency for addressing head on this most difficult issue. It does nobody any good to continue practices that simply continue the mistakes of the past. While the most obvious change (to many in the pews) will be the disappearance of the Standard & Times, let’s face it, most copies simply sat in the back of church vestibules, and all the information in that can be viewed on Catholic Philly. This being the case, there was no point in simply adding more expenses to the money pit of a paper, once the decision was made to digitize. But the other issues and consolidations, while not welcome, will do more for the long term health of the diocese. 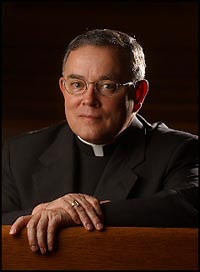 Sad to say but Archbishop Chaput took over an Archdioses that had no real leadership from Cardinal Regalli and the heirarchy he surrounded himself with at 222. 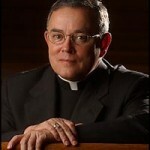 Their failure to understand the crisis caused by the “cover-up” of the Child Abuse issue and understanding of fiscal responsibility has now fallen on Archbishop Chaput. He needs to remove just about everyone who worked at 222 and put in a team that listen and understands. We are losing the young (45 and younger) due tothe Vatican and 222 not paying attention to Christ teachings. Our young are going to miss out on the qualaity Catholic Education and Teachers who gave so much to our youth are now being tossed aside while the the “good old boys” at 222 try to keep everyting running as “business as usual.” Sad what is happenign to my church, we must pray for God to give us good spritual leaders..
Well-written, and I’m glad to hear steps are being taken to balance the budget and live responsibly within one’s means. I’m tired of hearing about American entities unable to admit, “We have no money to spend on that” (e.g. our federal representatives, the White House, and individuals with credit cards). It seems to me sinful, related to the teaching about giving the daily laborer his wage _before sunset_ (not several weeks later); cf. Deuteronomy 24:10-15, noting verse 15: Give people what belongs to them, and don’t contract with someone you can’t pay. I read with interest the above. The issue of what is going on in my church has made me sad. When I hear my friend say that going to Mass has become a chore because she is so upset about the way the abuse was handled. When I hear of good people losing their jobs because the church can not keep many program going I am skeptical of the decision to let good people go and pay for the wrongs that they were not responsible for. When I see good priest brought to tears because they are caught up in this madness, I am sad and angry. I have been personally touched by the issue, I watched as good people were let go in the school merging situation I have seen the way their lives have been affected. Personally after 32 years in a school and with the hope of cutting back to a less demanding schedule, I was left without a job. I had just moved and hoped to work a few more years. I left feeling unwanted. I only pray that the committment made for my pension will be honored and that the others who expect the same will be okay. Sadness all around. My church has let me down but my faith is strong and I will not leave, I hope for better days. God love you, Archbishop Charles, as you continue to shoulder these heavy burdens with fidelity, dedication, courage, and love! You have my total respect and good will as well as my loving support of your special ministry as our Shepherd. Thank you for all that you have done and continue to do for the Church of Philadelphia! Above all, thank you for the gift of yourself and all that you are!